How can you be sure you will be successful this year with diet and exercise? Make it easier. As mammals, humans are drawn to the path of least resistance. The more steps, the more difficult, the less likely that you’ll make the best choice. Have you ever noticed deer on the hillside? Or even mountain goats? They will always take the dirt path, the easier route, as opposed to walking through the tall grass or rocks. Keep fruit on the counter or in an easy bin, ready to grab every day. Cut vegetables like carrots, bell peppers, and broccoli into bite-size pieces and bag them into small snack bags. Keep these in the refrigerator to grab for work or to grab as a snack while you get dinner ready. Keep your walking shoes by the door, with socks, so you can put them on anytime and head out for a short walk. If you live in cold weather, keep a special set of “exercise hat and gloves” there too. Put your treadmill in your office or home space as a cue that it’s time for a 20 minute break. 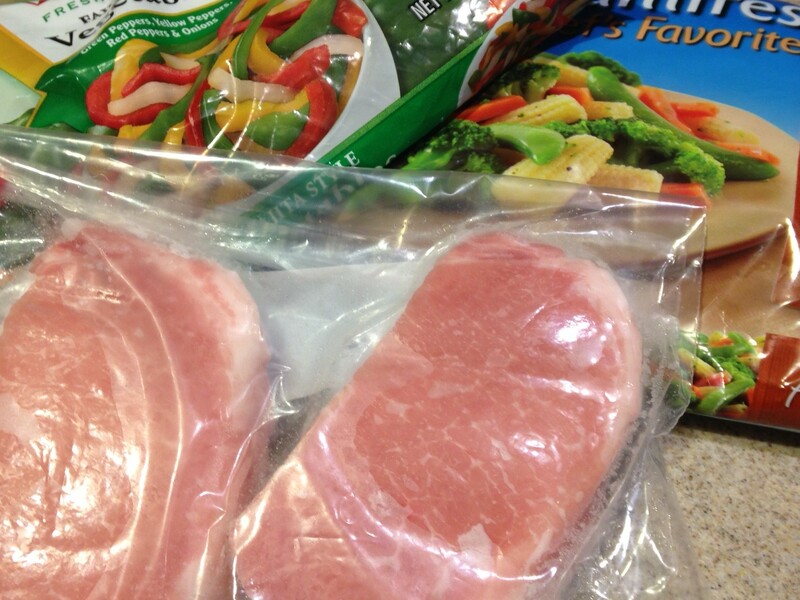 Buy lean meats (boneless pork loin, beef sirloin, skinless poultry) and put them into quart freezer bags when you get home from the store, or sometime that day. Package them with different preparations in mind – slice or cube some so they are ready for soups, stews or a stir-fry, and freeze others in 2-4 per pack. This makes it easier when dinner time hits. It also helps you maintain smaller portions of meat by portioning it out ahead, and using smaller portions of sliced or cubed meats to add to pasta or rice and bean dishes. Keep frozen vegetables on hand to save time and for days that you can’t get to the store. I love keeping peas, broccoli, “fajita veggies” (plain frozen sliced onions, red, green and yellow bell peppers), and spinach in my freezer. Fill a large water bottle or lidded cup with water and keep it with you through the day to make hydration easy. This entry was posted in Heart Disease, Misc, Weight Loss and tagged dash diet, diet, easy eating, exercise, food prep, healthy eating, new year, weight control, weight loss by Rosanne Rust. Bookmark the permalink.